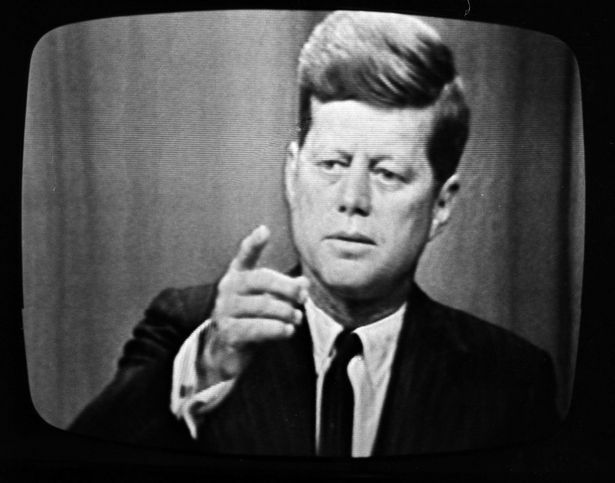 on this day in 1961, President John F. Kennedy becomes the first U.S. president to hold a live televised news conference. From a podium in the State Department auditorium, Kennedy read a prepared statement regarding the famine in the Congo, the release of two American aviators from Russian custody and impending negotiations for an atomic test ban treaty. He then opened the floor for questions from reporters, answering queries on a variety of topics including relations with Cuba, voting rights and food aid to impoverished Americans. Ever since his televised presidential debate with Richard Nixon in 1960, Kennedy had been aware of the media’s enormous power to sway public opinion. On that day, Kennedy had appeared rested, well-groomed and in control. Nixon, on the other hand, was not as telegenic as Kennedy and appeared sweaty and flustered. His five o’clock shadow created more of a stir than his responses to the moderator’s questions.